A Seton Hall University Graduate of Psychology, Brittany's experience and leadership as a strategic business partner encompasses both the financial and healthcare industries having spent 16 years in positions at HIP Health Plan of New York, TD Bank and Robert Wood Johnson University Hospital. At Robert Wood Johnson University Barnabas Health System, she partnered with the Senior Leadership team to implement complex change management process improvements as well as provide strategic HR planning across areas of Labor Relations, Recruitment and Talent planning. 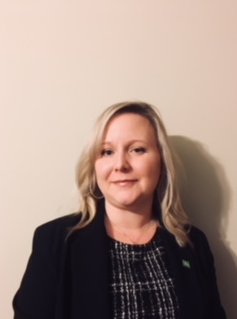 Brittany rejoined TD Bank in 2017 after spending 10 years prior with the company and is now a Sr. Human Resources Manager reporting to Christian Mihalko and Pauline Ashworth. She is responsible for supporting the business strategy and executing on HR initiatives for Metro PA/NJ Commercial, Credit and Retail portfolios.